How do I fix the "Failed import" red X icon on the Orders page? Under the Orders link on the left navigation menu, you may have noticed that some of your Amazon orders have a red "X" icon. Or you may have received a warning message regarding failed imports. 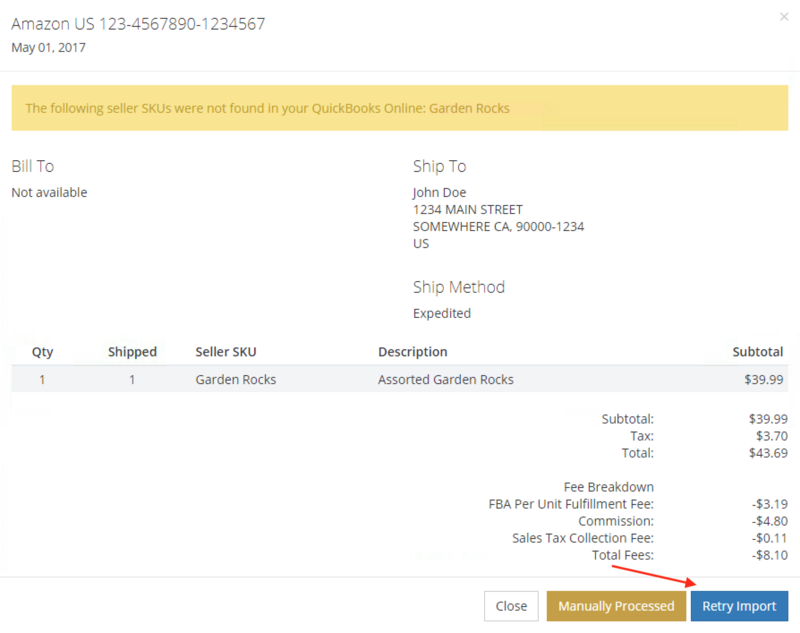 These errors happen when the QuickBooks Inventory items are missing. To resume import, create the proper Inventory item. 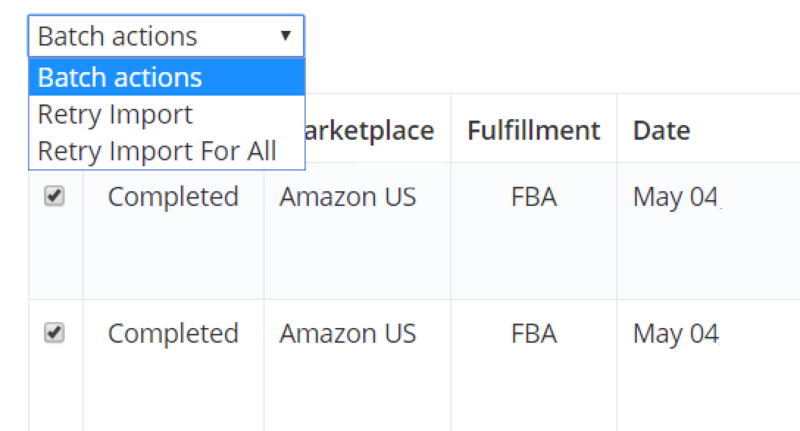 If you've changed the inventory name recently in QuickBooks Online, you'll have to update or remap the Amazon SKU to your new Inventory item. You can then click on the order on our platform and "Retry Import." You can also retry some or all of the failed items. Simply select the orders that you want to retry, or select Retry All to retry all of the data import once you've filtered by Import Failed orders.